A6 notebook with double metal coil and 65 ruled pages. 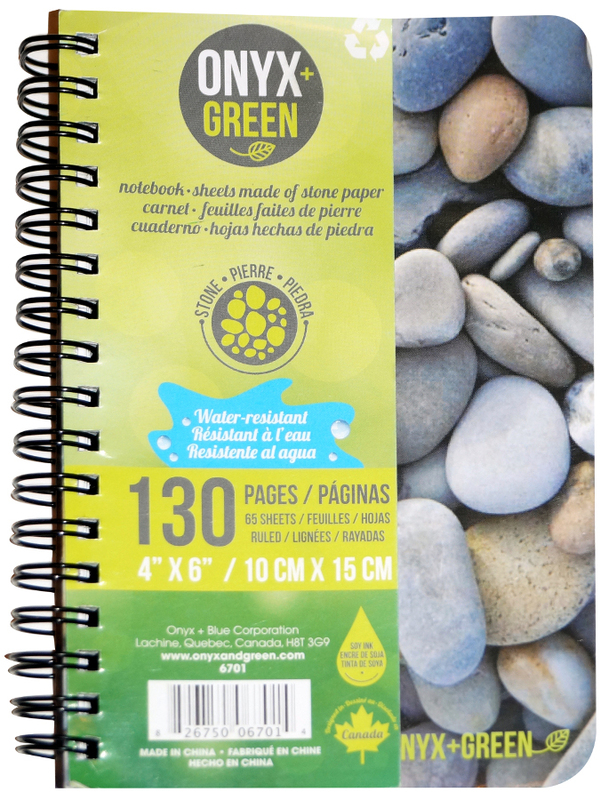 The notebook is made of stone, which has been recycled from building site debris. No wood, water or bleach is used in this revolutionary and eco-friendly technology and the stone sheets are waterproof, tear resistant and recyclable. 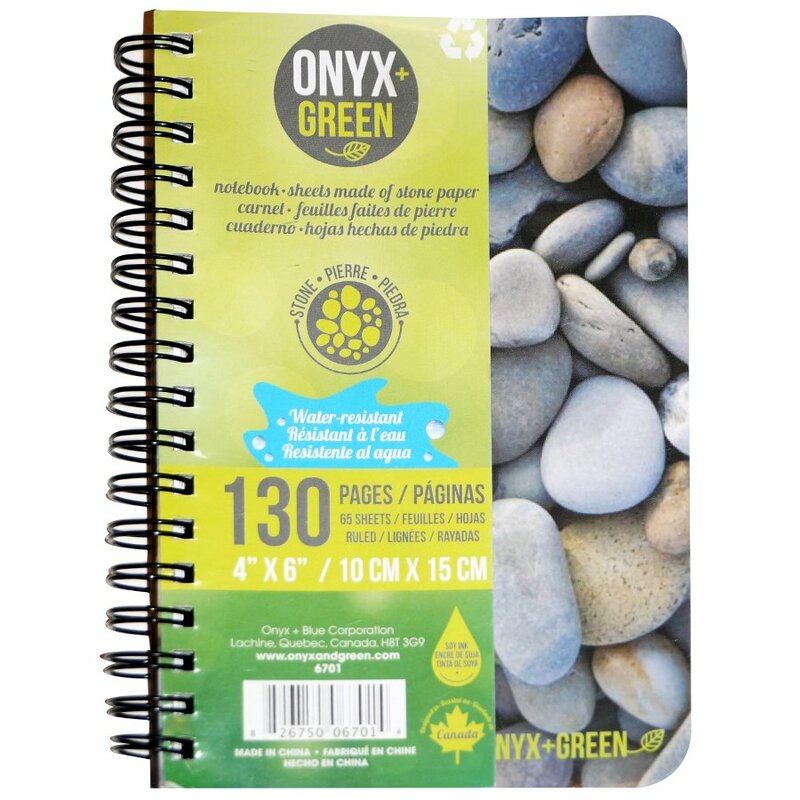 The A6 Stone Paper Notebook - 4" x 6" - 65 Ruled Sheets product ethics are indicated below. To learn more about these product ethics and to see related products, follow the links below. There are currently no questions to display about A6 Stone Paper Notebook - 4" x 6" - 65 Ruled Sheets.